In the months following Donald Trump’s announcement in June 2015 that he would seek the presidency, his personal attorney Michael Cohen became acquainted with a Russian real estate developer by the name of Andrey Rozov. Rozov, who was introduced to Cohen via another former Trump associate Felix Sater, pitched the Trump Organization and Cohen on a plan to use his real estate firm, IC Expert, to build a Trump Tower in Moscow. Sater and Rozov had known each other for nearly a decade from their work for a major Russian real estate conglomorate, Mirax Group. At the beginning of the discussions between Rozov and Cohen, Rozov emailed a letter to Cohen which, among other items, stated that he planned to use a U.S. corporation for their potential “joint-venture”. The September 2015 letter, obtained by BuzzFeed News, offered a plethora of new information about Rozov and his activities in the US. Now, based on exclusively obtained corporate documents, it can be revealed that IC Expert did indeed have an active shell company in Delaware at the time of the Trump Tower Moscow negotiations. 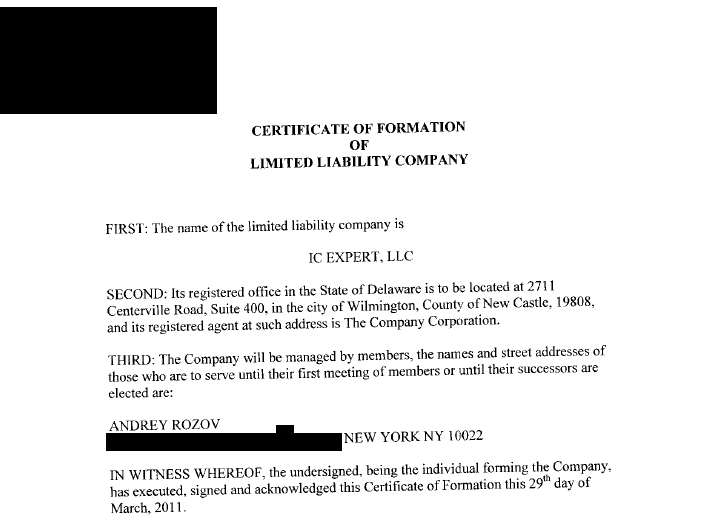 The corporation, plainly named “IC Expert, LLC”, was incorporated in early 2011 and documents filed with the Delaware Secretary of State’s office show that it was under the control of Andrey Rozov. 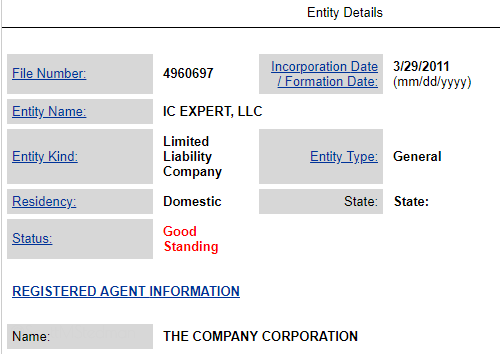 Though it was incorporated in 2011, IC Expert LLC appears to have done little-to-no business. A nationwide search of real estate records returned no results for the company and a thorough open source investigation has produced zero trace of the corporation, apart from its incorporation. Is is unclear what, if any, official business IC Expert LLC has done. LLCs in Delaware are required by state law to pay a tax every year on or before June 1. Based on the company’s good standing, Rozov kept the IC Expert LLC in Delaware active through the negotiations of Trump Tower Moscow and through the present day. With no records of any official business, it is a mystery why Rozov kept the shell company active for nearly eight years. Because of the circumstances and persons involved, the source said that ‘investigators will likely subpoena bank records to see who opened the account(s) and what payment activity occurred over the last few years, especially if any Suspicious Activity Reports (SARs) were submitted to FinCEN.” (The Financial Crimes Enforcement Network is a bureau of the United States Department of the Treasury). IC Expert did not return a request for comment. Delaware is a common location for the incorporation of businesses due to its low tax rate and protection of corporate secrecy. The shell company, which has not been previously reported, adds to a series of intriguing business and financial activity involving IC Expert and its principal, Andrey Rozov. Last week, it was revealed that Rozov was behind the purchase and quick sale of a Manhattan office building. The flip of the property resulted in a profit of over $8.1M for Rozov, who was represented in the December 2015 sale by Felix Sater. This real estate transaction is the first known business activity by Rozov in New York and happened during the middle of the Trump Tower Moscow negotiations. It was also determined that IC Expert received a loan from the Russian state-owned bank Sberbank in the weeks following the agreement with Trump, of which 6 billion rubles or $90,000,000 appear to have gone missing. Documents showed a massive discrepancy between the purported amount of the loan and the actual amount of capital that Sberbank extended to IC Expert. The missing money has yet to be explained. Rozov has not been accused of any wrongdoing. IC Expert faces dozens of lawsuits in Russia for dealings unrelated to Trump Tower Moscow. Michael Cohen’s penchant for using Delaware shell companies during the presidential campaign has featured prominently in his criminal charges. 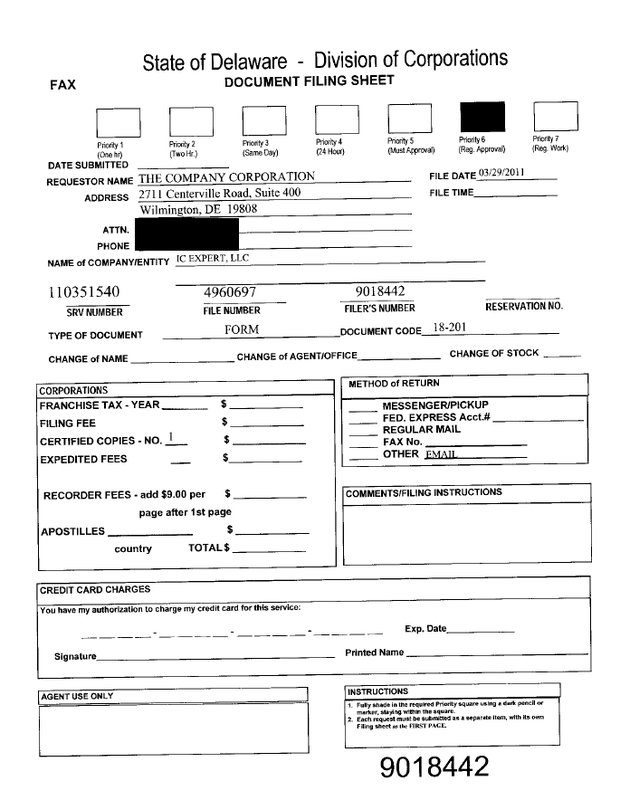 Cohen incorporated two Delaware companies in 2016, Essential Consultants LLC and Resolution Consultants LLC, as a vehicle to pay hush money to two women who claimed they previously had affairs with Trump. The Trump Tower Moscow dealings remain a central part of Special Counsel Mueller’s probe into possible election-related crimes resulting from the coordination between the Trump team and Russians. For Congress’s part, House Intelligence Chairman Adam Schiff has vowed to obtain testimony and documents related to the Moscow Project.